We are quite fond of this elegant dian hong and right now are offering the current year’s production (2018). You can choose to drink it now (young) or hold it and rest it for a period of 6 months to 2-3 years and enjoy it as a more mature representation of what it is now. Or you can do both! Opening with the fruity, nutty, and cocoa-like aroma of the dried leaf, the tea liquor then yields a slightly spicy, chocolate aroma in the cup that is rich and appealing. The flavor of this ‘lot’ is a bit brighter than the most recent quantity that we had, primarily because it is two years younger. The leaf is large and there is plentiful tip present that is equal in length to the pluck – indicating the maturity of the trees from which the leaf materials were plucked. The long, elegant, twisted leaf has the beautiful dark brown color typical of Yunnan dian hong. The minimal russet-colored tips (far fewer than most recent years) provide a subtle counterpoint to the dominant percentage of darker leaf. The flavor of the steeped liquor is not the usual rich and hearty style of premium Yunnan dian hong. This tea has undertones of sweetness that suggest ripe melon and roasted nuts. There is a hint of grassiness in the top nose that lightens the inherent richness of the leaf and gives this tea some hay-like and bright qualities usually associated with a fine Chinese green tea. 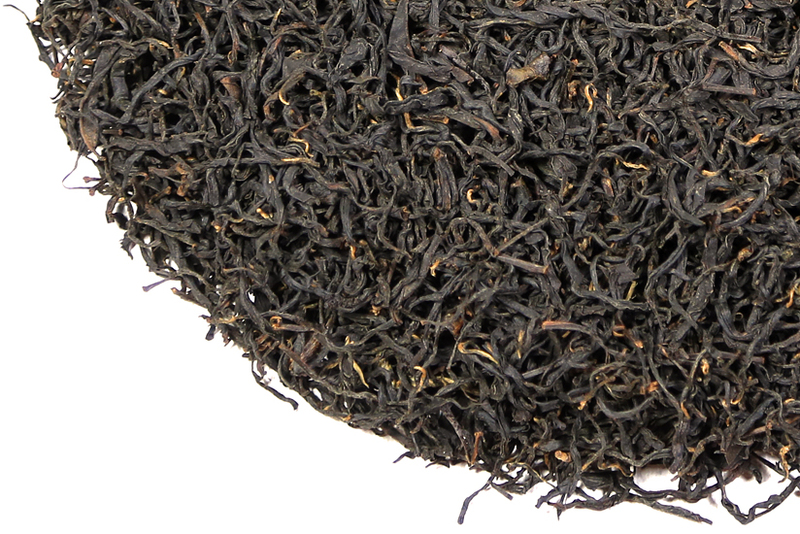 This dian hong is an easy steeper – is not challenging, but forgiving and satisfying. 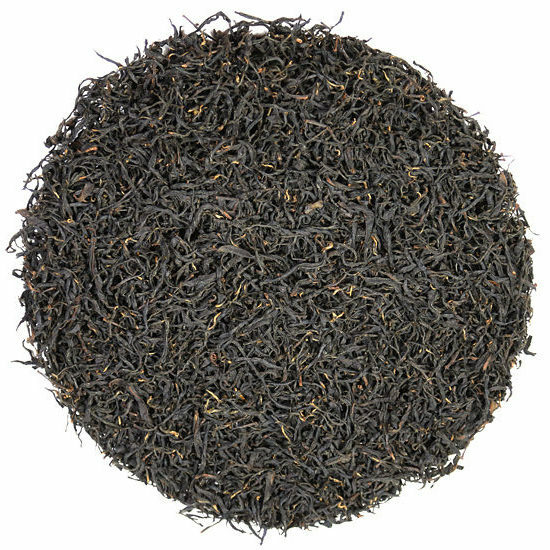 It has a thinner body than some dian hong, which many tea enthusiasts, especially Indian black tea drinkers, will enjoy. We think it should be best drunk plain, but some might add some fat-full dairy such as cream or half-and-half. Drunk plain, it is mouth-filling and not dry. Harvested in the heart of the Yunnan old-growth area of tea production, this leaf is plucked perfectly, and carefully manufactured into dian hong by expert tea makers. Feng Qing County in Yunnan’s Lincang Prefecture is famous for producing delicious dian hong tea from local variant old tea trees. Here, in remote areas, tea bushes thrive in the perfect climate for producing great tea. This leaf is plucked in the fall from sub-varietal tea bushes that send out late season leaf that is larger in size than that of other tea bushes in this region. For us here at Tea Trekker, we can never have too many dian hongs from the Feng Qing area.